San Francisco Facades+ PERFORMANCE is only three weeks away! Connect with other architects, fabricators, developers, consultants, and other design professionals and earn up to 8 AIA LU credits per day at the conference, presented by AN and Enclos, July 11 to 12, 2013. Invaluable information, networking opportunities, and hands-on workshops are on the lineup for this year’s two-day event. The symposium on Day 1 involves exciting presentations and discussion-based panels. 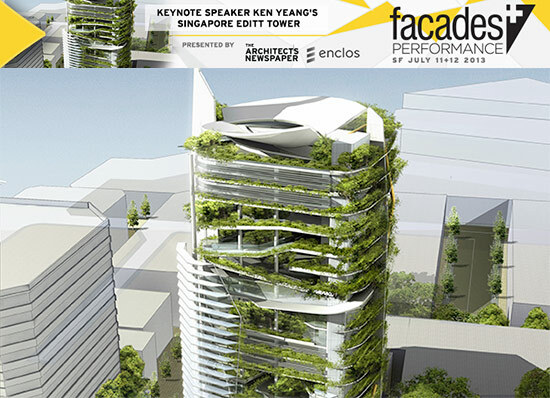 Here are just a few of the speaker highlights on the agenda for Facades+. Claire Maxfield, Director of Atelier Ten, in conjunction with Jeffrey Vaglio of Enclos, will offer introductory remarks on Day 1. Her expertise includes facade optimization and water systems. Edward Peck of Thornton Tomasetti will speak about The Components of Performance on Day 1. Peck has over 15 years of experience in architecture, building skin technologies and building systems fabrication. Don’t miss out on conversing with some of the world’s top design professionals. Early Bird registration has been extended—register online today!